The home pictured here just hit the market. 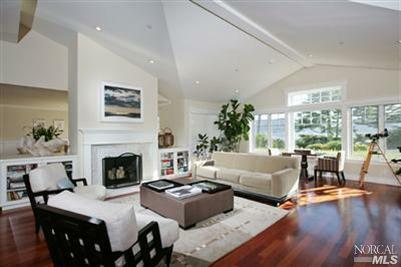 An extremely high end remodeled one-level home close to downtown Tiburon. It sold in 2007 for $2,445,000…. Today’s price: $1,895,000. The challenge for buyers today is to have the ability to recognize a good deal when it comes on the market and have everything in place to make a move. It’s always tempting to wait and see if the price goes lower, but it can be a losing strategy as well. The ‘steals’ are coming to buyers in 2 ways: homes that come on the market too high, become stale and continue to drop in price. The second category of steals are the homes that are ‘priced to sell’ from the beginning. Several of them are featured on my ‘Best Deals’ page. The majority of those are snapped up immediately by savvy buyers. One Larkspur fixer on the page sold to a buyer who completed a cosmetic remodel and put it back on the market this week for more than $400,000 than he paid.